Winshuttle enables business users to nix data errors well before they lead to multimillion-dollar mistakes, severed customer relations or lost business opportunities. Don’t let poorly maintained ERP data and inefficient controls cause serious damage to the business – utilize Winshuttle to ensure security from data creation through transaction completion. Winshuttle has a broad security vision that spans from validated entry to guaranteed compliance with SAP security. You cannot only provide user level access to SAP that aligns with data security protection already set up in SAP, but you can also add another level of security to control who has access to data. This insulates users from the complexities of SAP and allows you to quickly adapt to evolving market needs. 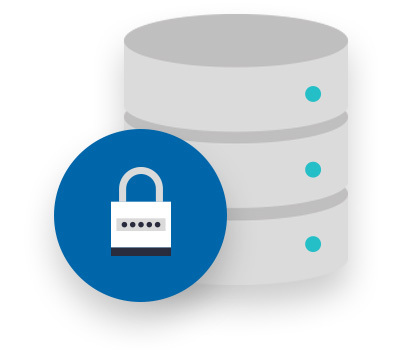 Implement security best practices for data you can rely on. Adhere to SAP rights, privileges and authentication schema, and ensure these rights and privileges are respected throughout the data lifecycle. Limit access to data in SAP transactions and tables over and above the SAP security roles. Use drag-and-drop workflow components to quickly create or adapt existing data collection workflows to changing business requirements. Easily route requests to different stakeholders for rule-driven actions including input, review and approval. Gain performance insights and ensure complete accountability with audit trails for every SAP data access and update. Protect SAP transactional data by meeting regulatory compliance requirements like Sarbanes-Oxley (SOX) and the EU’s 8th Company Law Directive. Implement active data governance principles to validate data at the point of entry. This creates a data firewall and eliminates bad data, minimizing the negative impact on operations.